Varun Dhawan aims to give audience The Best Action Adventure Film of 2016. Varun Dhawan aims to give audience The Best Action Adventure Film of 2016. Home > varun dhawan dhishoom > Varun Dhawan aims to give audience The Best Action Adventure Film of 2016. Varun Dhawan aims to give audience The Best Action Adventure Film of 2016. 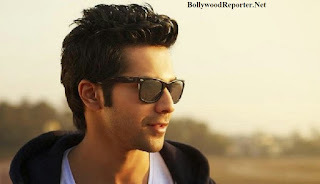 Varun Dhawan was last seen in ABCD 2 and he is one of the youngest star to achieve his goals in Bollywood industry. He gave his best in ABCD 2 & now he is aiming to give audience the best ever action adventure film of 2016 & the film is Dhishoom. Recently he shared this using micro-blogging site twitter. Dishoom is an action adventure upcoming movie produced by Sajid Nadiadwala, and being directed by Varun's brother Rohit Dhawan and also stars John Abraham and Jacqueline Fernandez leading roles. Currently he is working with Shahrukh Khan and Kajol in Rohit Shetty's 'Dilwale' which also features Kirti Sanon, Boman Irani and Vinod Khanna. Dilwale will be released on December 18.